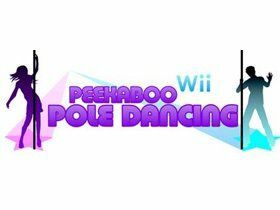 A company called Peekaboo Pole Dancing looks set to revolutionise the ‘keep-fit for geeks’ trend, with its hottest new concept – a pole dancing fitness game for the Nintendo Wii. That’s according to Tech Digest, which reports that the company is currently seeking a partner to help licence the idea. We can't foresee that this will be a problem – Peekaboo is the "world’s top seller of celebrity-endorsed ‘pole dancing as fitness’ items", after all. Should the proposed pole dancing peripheral come into being, it would follow hot on the heels of other recent fitness-orientated additions to the Wii family, such as the Balanceboard. The company can confirmed the game will not involve Carmen Electra, the inspiration behind its recent Electra-Pole Professional Pole Kit. Fortunately, despite this set-back, the team remain committed to "using Wii-friendly hardware to make aerobic pole dancing instantly accessible, just as Guitar Hero did for rock’n’roll". We admit it goes a tad against Nintendo’s family-friendly image, but as more than one person has pointed out: just think of the motion control possibilities. A man wound up in hospital at the weekend after being zapped by Taser-happy police. The stun gun ignited a "flammable object" in his trousers, causing the unnamed Canadian man to sustain burns to his hand and thigh. Meanwhile, thousands of miles away, Dublin Zoo was forced to shut down its switchboard after becoming inundated by phone calls following a high-tech prank. Thousands of people around the country have reportedly been falling for hoax text messages requesting that they ring a number and ask for a named contact. The Irish Independent reports that the zoo’s switchboard became so busy that it has been forced to answer all calls with a recorded message saying: "If you are calling to speak to Mr Rory Lion, C Lion, G Raffe or anyone similar please be aware that you are the victim of a hoax message." Other contacts include Ana Conda, said The Register. We leave you this week with another concept: the Virtual Wall. Essentially a more expensive version of the humble traffic light, the Virtual Wall acts as a giant laser roadblock stretching in front of your car when it’s your turn to stop. Lest you forget what’s happening, it even displays oversized moving images of pedestrians crossing in front of you, Gizmodo reported.